Jeff and I were in Ezra's skiff the first morning. It might have been our first fish, not sure. Ezra spotted it and quietly coached Jeff. 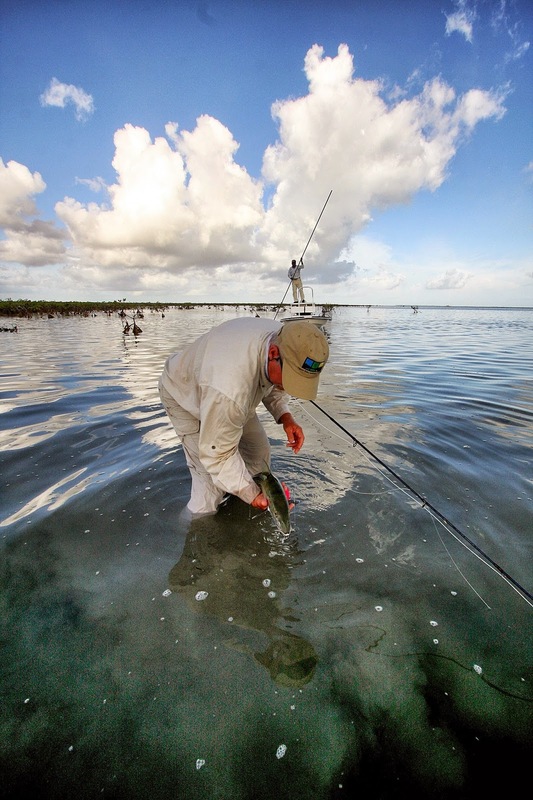 "Point your rod, 10 o'clock, maybe 40 feet, close against the mangroves moving left." Ezra said. 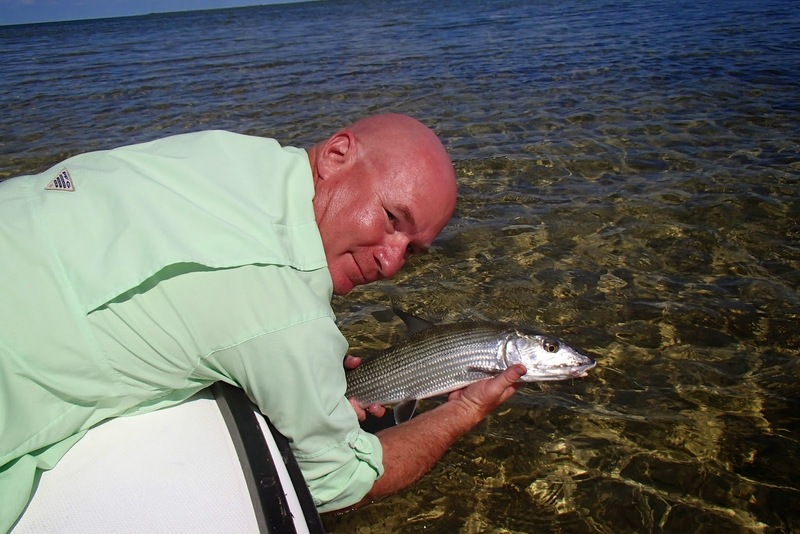 Jeff aimed his rod tip and we all saw the fish in the clear, shallow water. 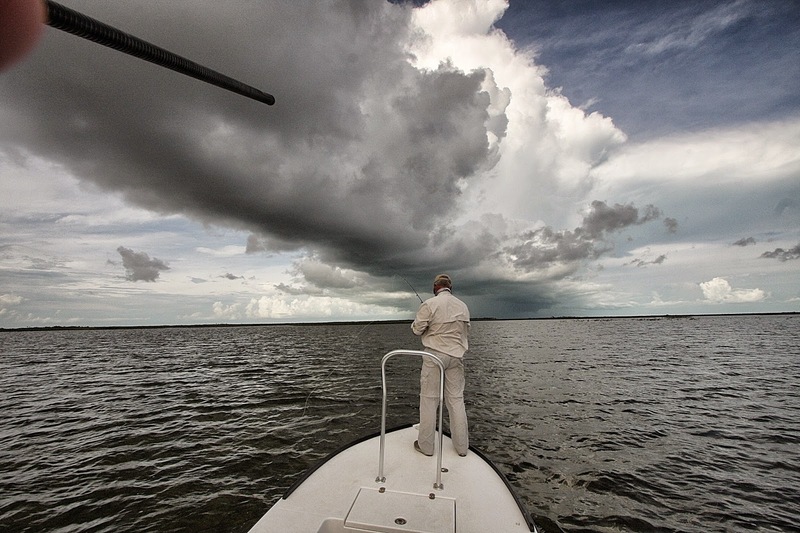 "Make your cast to the fish's left when you feel ready". 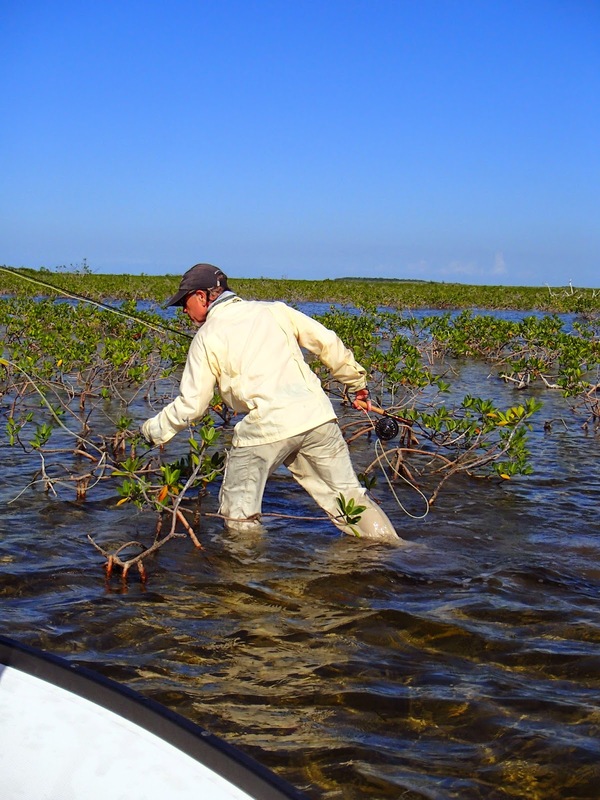 Jeff laid his fly about 5 feet ahead of the fish and slightly short (does everyone cast short when throwing at fish tight to the mangroves?). The fish alerted to the noise and moved slowly in that direction. The fish picked up the movement and accelerated. "Stop it, let it drop" coached Ezra. The fish swam almost on top of the fly and even tilted slightly downward but didn't eat. It would have been SO easy to rip the fly right away from that fish. Ezra quietly said "Don't move it." Jeff is a better listener than I. We could easily see the fish hovering there, intently studying Jeff's fly. It finally decided the fly was edible and subtly tilted down and pinned the fly to the bottom. 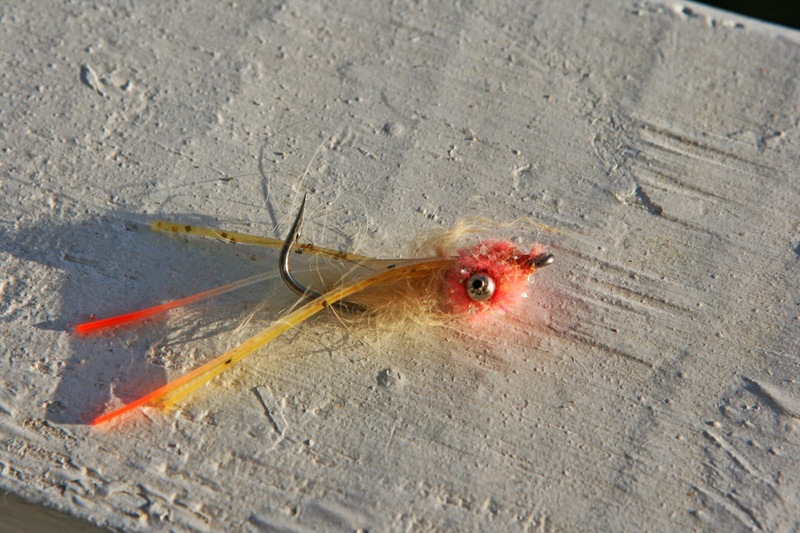 Even that movement could have been so easily missed and the fish could have spit the fly. But Ezra said "Long strip now" and Jeff complied. 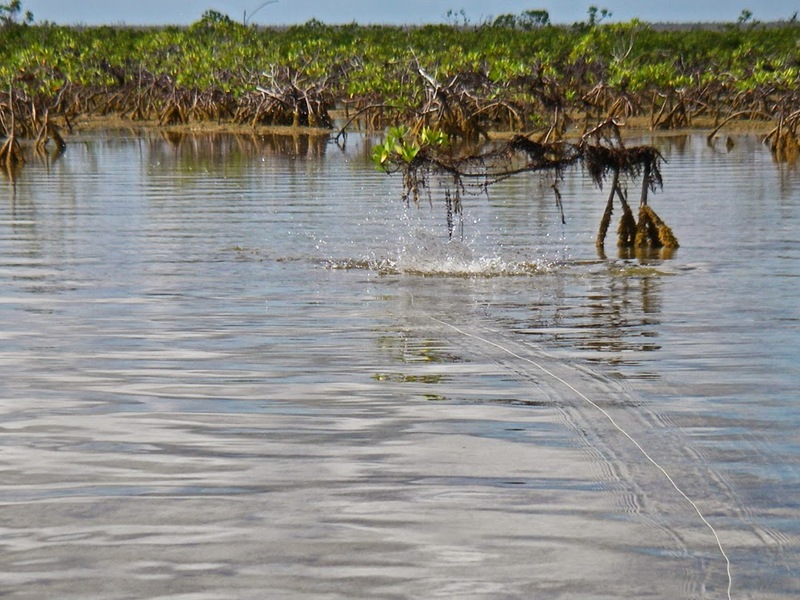 As he came tight and the fish bolted stitching Jeff's line through a half dozen mangrove roots, I looked up at Ezra and gave him a thumbs-up sign. The ever so slight smile pursed his lips. Ezra is the quiet one of the trio. As Jeff struggled to get his line untangled and keep the fish on, Ezra said "Every fish is different, you have to really watch the fish closely and fish your according to the fish." I have so much still to learn. I third the praise for our guides. However, as I remember it was Doug who did the honor of first fish on that day. We took the ride out to the first flat and Ezra barely had the push-pole in his hand when we spotted tailers. 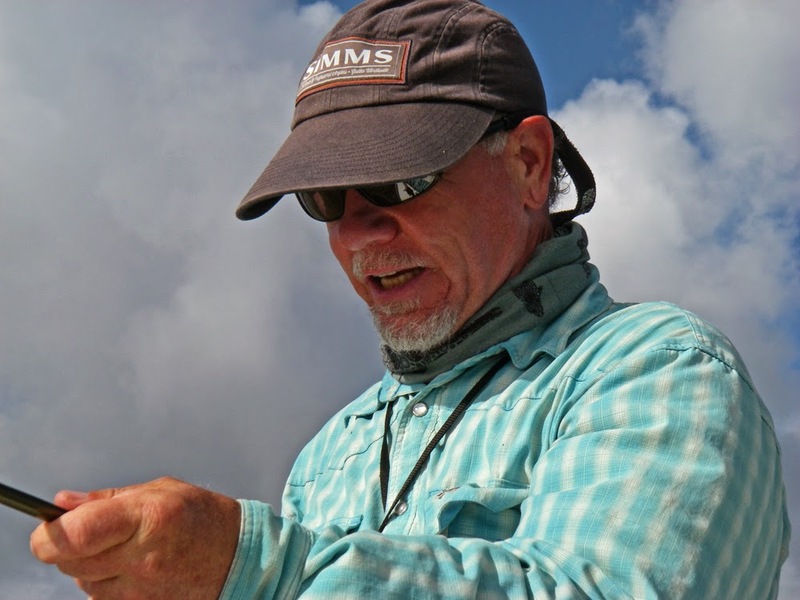 Doug graciously offered me first shot on deck, but knowing he had fished Water Cay before and would thus know the program, I asked he show me how it was done. He stepped up, stripped line, and with that smooth, experienced casting stroke he has (and I wish I could just as consistently deliver), put the fly a little short and left. Ezra had him recast, this time it was on the money, and just as Doug describes, Ezra quietly and calmly directed the action. "Slow strip....let it sit...short strip...let it sit." Ezra coached. "Long Strip." Ezra finally exclaimed. Doug came tight, landed the beefy specimen, and that was that. Doug turned to me and matter-of-factly said, "it's really easy, I just do what Ezra says..."
That fly is so bent! LOL. Is that a hot legs variant of the Jessie Special designed by Chris Helms? Thanks for the great report. I'll be looking for the bone's eating behavior the next time out.